Now more than ever it is important to read up on our country’s history, and the political trends that led up to where we are now. This book gives honest accounts of the events in history that we may not be particularly proud of, and may have even expunged from the textbooks. 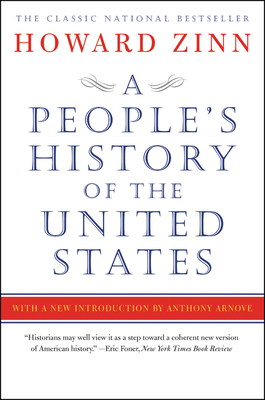 From Columbus landing in the new world, on through the Revolutionary War, Vietnam, and the Bush era (when it was last updated before the author’s death), read about the civil rights advocates, union organizers, anti-war protesters and many others who fought for freedom and liberty who you may have never heard of. On the other end, read of the reactionaries, robber barons, feudalists, and oligarchs who have continually opposed them along the way.